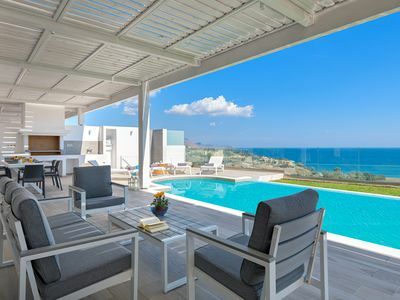 If you are looking for a modern, comfortable, spacious villa with a breathtaking view, located on the seashore and suitable for family vacations – then this is your choice! Feel the Sea Villa has been designed by an individual project and make you feel as at home. 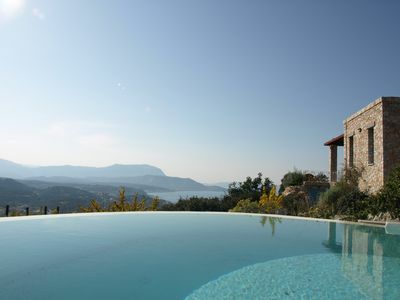 Villa Feel the Sea combines modern comforts and design with breathtaking view. Panorama full-length windows let you enjoy an impressive view of the Aegean Sea and the nearby islands right from home! 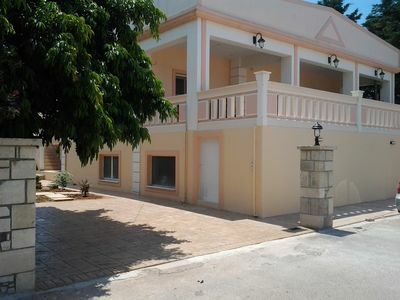 The villa has a total area of ​​180 sq.m. located on two floors. 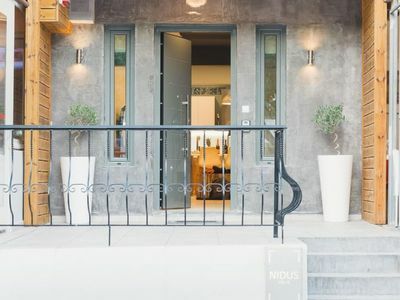 On the ground floor there is a living room-studio with a large folding sofa, a dining room, a bathroom with toilet and shower and a fully equipped kitchen. 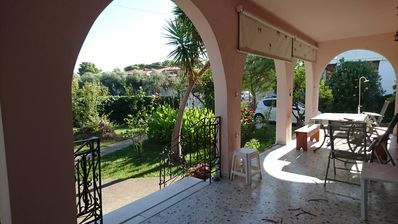 There is a terrace with barbecue overlooking the sea and the garden with beautiful flowers. 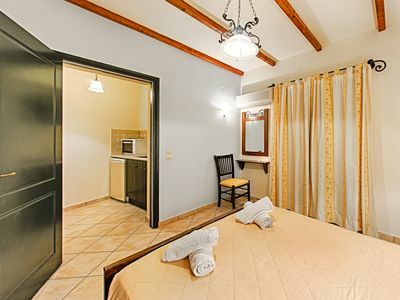 On the second floor there are 3 bedrooms: one bedroom with an extra-large king-size double bed and 2 bedrooms with double beds. 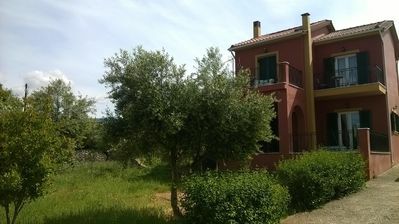 On the second floor of the villa there is a balcony overlooking the garden and the sea. 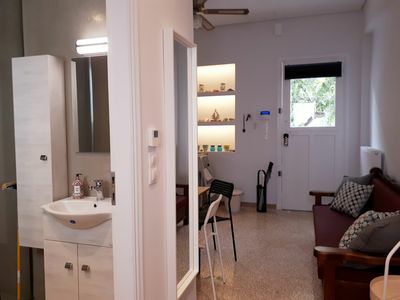 There is a spacious bathroom with a large bath. Our villa can accommodate with comfort up to 8 adults. 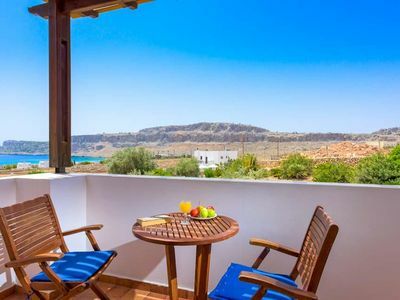 There are many amenities at your disposal: a terrace with a barbecue, a sunshade, a table and chairs; a balcony, air conditioners, fans, free Wi-Fi, a flat-screen TV, an oven, an electric stove, a refrigerator, a washing machine, ironing facilities, etc. At the entrance of the villa there is free private parking for two cars. 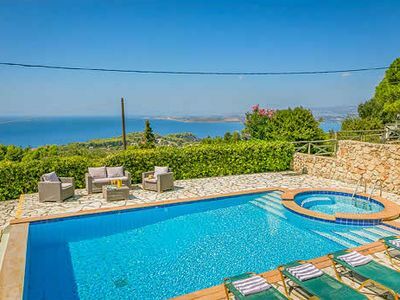 Villa Feel the Sea is located within 50 m of the picturesque sandy shallow water Glastres beach ( free of charge) with calm clear sea, which is especially important if you travel with children. 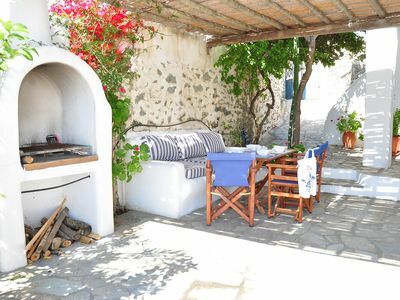 Feel the Sea Villa is located 1.5 km from the center, where you can have a meal in a tavern, pizzeria or to have a coffee in a cafe. 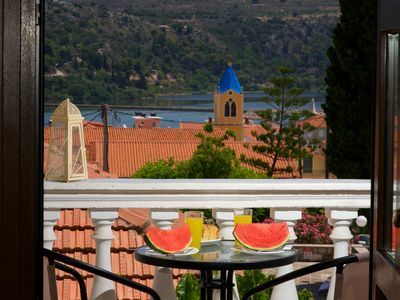 Iraklitsa village and then Nea Peramos with restaurants, cafe, bars, supermarkets and fantastic beaches are located 5 km from our villa. In 15 minutes by car you can reach the unique coast of Ammolofoi with sandy beaches and crystal clear and shallow waters. Alexander the Great Airport is 42 km away. The city of Kavala is 10 km away. 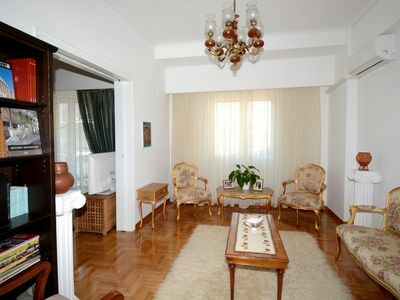 ATHENS Charming, completely renovated house with private garden !!! 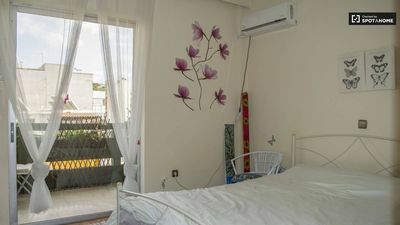 Athenian Apartment is an authentic Greek apartment 1 min from the metro. 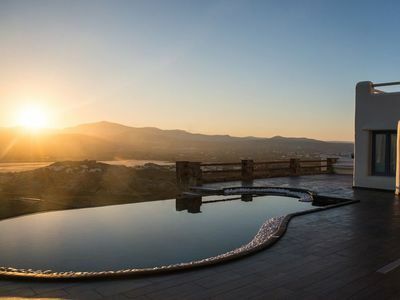 Hillside villa with great sea views, 5 minutes drive from two of the best beaches and 30 minute walk to Argostoli, the capital with plenty to explore.